Travel to Ayutthaya to see the Bang Pa-in Royal Palace, which is a beautiful Summer Palace. We'll then visit Ang Thong and be amazed by the biggest Buddha statue in Thailand, Phra Buddha Maha Nawamin at Wat Muang. 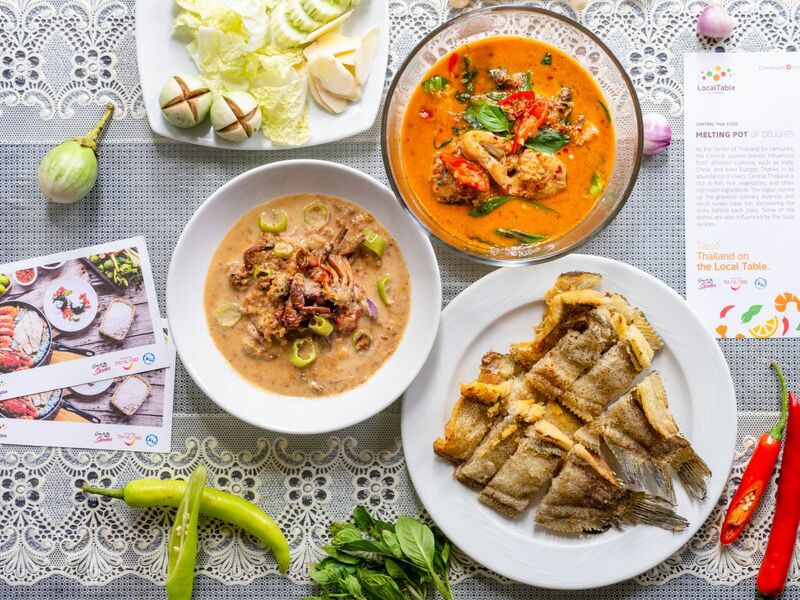 Cultural heritage aside, we'll get to taste local food at one of Ang Thong's best restaurants. Visit to Wat Niwet Thammaprawat, a church-inspired Buddhist temple located on a small island. The temple is gorgeous and unique and how to get to the temple is also interesting. Second, we'll visit the Bang Pa-in Royal Palace or the summer palace. The original complex was built back in 1632 by King Prasat Thong. Go to Ang Thong for lunch. We'll enjoy unique local dishes at one of the locals' favorite restaurants. Visit Wat Muang and see the Great Buddha of Thailand. The Buddha statue is the biggest in the country and also the seventh tallest in the world at 92 meters. We've reached the end of the our trip. Let's go back to your hotel with a smile on your face.